sorry but in this version it would not be possible to create these link half panels. after some discussion with the technical team some time ago this was the subject of the next version. Thanks, I’ve just drawn it in cad and that’s fine until you want to change a dimension and then it’s line by line. I’m attaching an image to give you an idea of the fixed cross half shelves I’m talking about. I want the two vertical uprights to intersect with the two shelves. 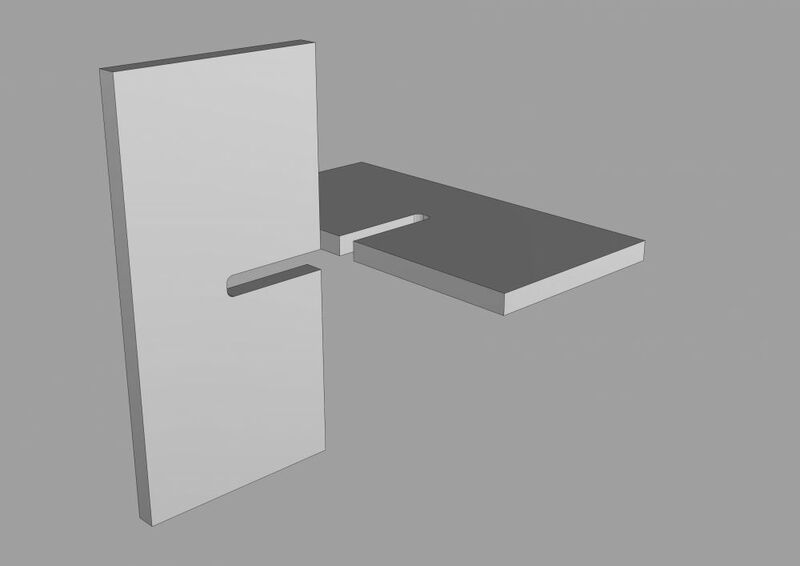 So if all the material is 30mm and the cabinet is 300mm in depth, I want the uprights to have two notches 30mm by 160mm cut out of the face and the shelves to have two matching notches cut out of the back. I’m allowing 10mm extra on the cut to allow for the radius on my cutter ie. 300/2=150+10=160. Does that make sense? 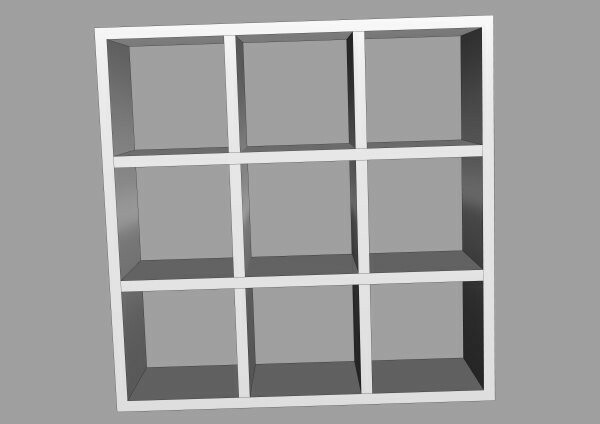 I have to make a pigeon hole cabinet with fixed size openings. I normally use a cross half joint, as per picture attached. How do I do this in PB.